Our Champagne Princess dress is one of our newest styles. This dress is guaranteed to turn heads. 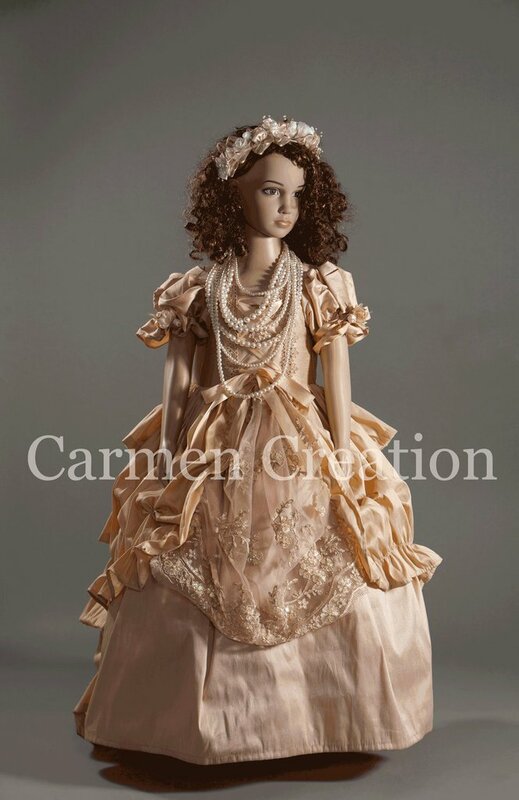 Made from high quality chantue, french lace and trim. Gown comes in most sizes.